We're completely smitten with Chrysler's latest hi-po Hemi, which displaces 6.4 liters and offers up to 470 horsepower and a matching 470 pound-feet of torque in the engine bay of such vehicles as the Dodge Challenger SRT8 392. Of course, not everyone can manage a two-door with limited space inside for passengers and cargo, which is why Chrysler has placed the massive lump under the hood of the latest Jeep Grand Cherokee SRT8 as well. 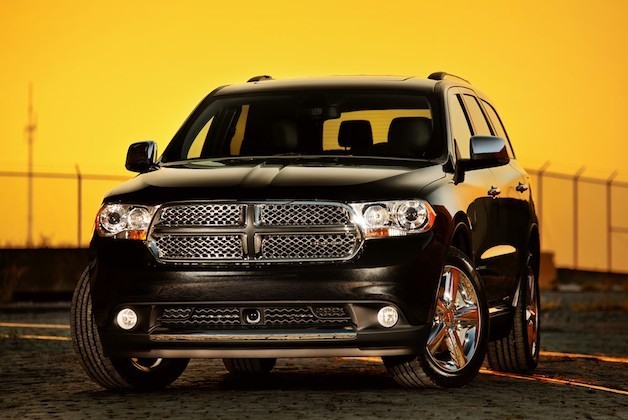 Inside Line cites "a source close to the project" as saying the Grand Cherokee's platform sibling, the Dodge Durango, may also be in line for a 470-hp power infusion for 2013. It only makes sense, since the Jeep and the Dodge share major assemblies between them and both offer the same V6 and V8 engines (besides the range-topping SRT8, for now...) and since Dodge has historically been Chrysler's performance division.